Do you use fresh parmesan cheese or the stuff in the green can? Okay, so I always use the stuff in the green can. But a few weeks ago I bought a chunk of fresh parm from Sam's Club. Now I don't really know what to use it in. I know there are a million recipes out there that I thought have looked good, but i haven't tried them because I didn't have any fresh parmesan (and I was too cheap to go buy some). 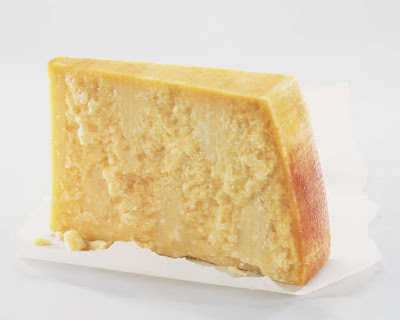 Do you have any favorite recipes with fresh parmesan cheese in it that I should try? Have a good one. Don't forget to post your menus this week and your parmesan cheese favorites. Thanks!